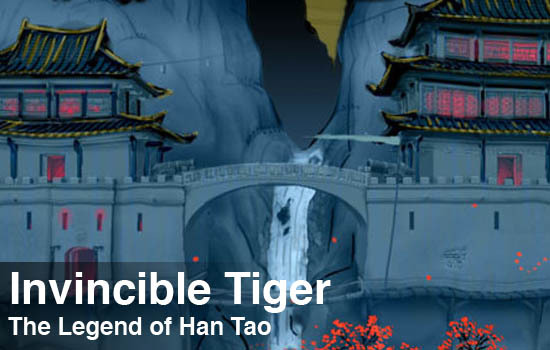 We've been following Invincible Tiger: The Legend of Han Tao for some time now, in fact, we posted some hands on impressions of it back in February. The game was just announced to have an August 26th XBL and August 27th PSN release date, so we figured it was a good time to get the skinny on its two player co-op mode. We chatted with Ollie Clarke, Project Director at Blitz Arcade (a division of Blitz Games Studios), to learn all we could about this kung-fu film inspired beat-em-up. Co-Optimus: Does Invincible Tiger support online co-op? Ollie Clarke: Yes it does! 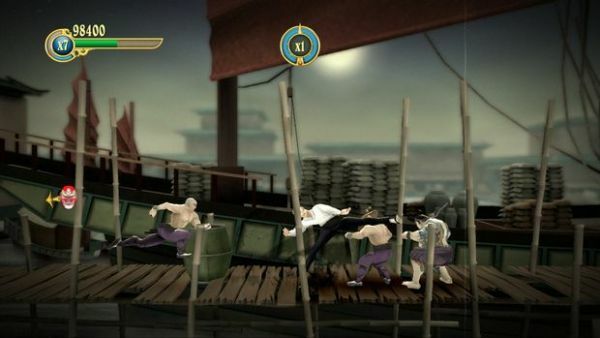 The game features online co-op in both the XBLA and PS3 versions. I have to say it’s not easy making a fighting game that works online and we’re proud of what we’ve achieved – a lot of late nights by the team went into making it work! Provided you have a solid broadband connection it feels like a solid fighting game both locally and online. Co-Optimus: Is the co-op mode separate from the single player game, or does co-op play share the same missions? Ollie Clarke: It follows the story mission but it’s balanced for co-op play – just because there’s two of you don’t expect it to be twice as easy. The fun part is working out how you’re going to play the game together. You can both go in flailing away, then if you take too much damage your friend can cover you as you meditate to recover health. As a tip, in two player co-op, try sneaking up to a boss, rolling a way and watch as the boss’ weapon gets stuck and your buddy can start whaling on him. Players can also play the game in the other modes co-operatively too. For example there’s a time trial mode where they have to complete the game as quickly as possible. I used to love those game demos of Quake played quick and this is our version. There’s also an endurance mode where players have to survive for as long as possible. It’s a bit like Geometry Wars in that respect and it gets pretty competitive seeing who can last the longest. We’ve gone out of our way to add a lot of leader boards including boards that chart co-op play. Co-Optimus: Is there optional "team damage"? Ollie Clarke: Originally we did build team damage into the online mode. However, after playing internally, at Namco and with play testers, we found that it detracted from the gameplay. While hitting your buddy is amusing for the first few minutes, when you’re in the thick of the action you want to be back to back slugging away at the bad guys! Co-Optimus: A lot has been made about the game's 3D mode. Is the game playable in co-op using the 3D settings? What hardware is required for gamers to enjoy this? Ollie Clarke: Invincible Tiger is playable in co-op in 3D mode as well. We’ve gone to a lot of trouble to optimize the games’ speed so it runs at 60fps in this (the most demanding) mode. I think framerate is where 3D games will really excel. The 3D films currently being shown are playing at 24fps and we’ve found being able to play the game at 60fps really heightens the immersive experience. In a way it’s so frustrating that it’s an effect that has to be properly experienced and it can’t be explained. A lot of people are cynical about it but as soon as they get the full digital stereoscopic experience the “wows” and the “ooohs” are heard. The game supports a lot of 3D hardware but players will need a 3D capable display. The game supports 3D ready TVs including LCD, DLPs and Plasmas. Shutter and LCD Glasses are also supported. All players have to do is select the digital 3D option in the 3D modes menu. We’ve also created an advanced options menu in the 3D menu system where users can finely tweak the settings to maximize the 3D effect for their televisions. It’s worth noting that we’re effectively giving the 3D experience away with the game. Why? Because it’s fun, we love it and we hope that by putting 3D content out there we can help stimulate a demand for Digital 3D entertainment. We realize we’re the first to do this for a console game so we’re setting up a webpage to help people set up the game depending on which screen they have. The website will be at www.invincibletiger.com/support and ss soon as it goes live we will make an announcement alongside our publishers at Namco Bandai.